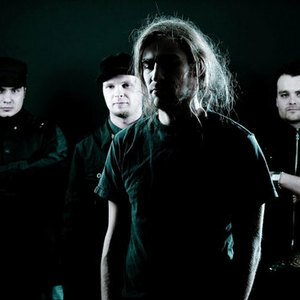 FK was an alternative metal band formed in R?ga, Latvia in 1998. The original lineup consisted of Verners Biters, Ansis Auders, Gusts Leimanis and M?rti?? Opmanis. FK released their debut record "The Inevitable" (2000) on 'Microphone Records'. After then came personal and creative disagreements between members. Band split up in 2004. They reformed in 2007 with a new member / drummer - Rolands Brie?kalns from Latvian crossover unit Bruit Monkey. New record is upcoming this fall - first track / single "Vien?d?ba" is available for free downloading on their official web page. The original lineup consisted of Verners Biters, Ansis Auders, Gusts Leimanis and M?rti?? Opmanis. F[ei]K released their debut record "The Inevitable" (2000) on 'Microphone Records'. After then came personal and creative disagreements between members. Band split up in 2004. They reformed in 2007 with a new member / drummer - Rolands Brie?kalns from Latvian crossover unit Bruit Monkey. New record is upcoming this fall - first track / single "Vien?d?ba" is available for free downloading on their official web page. Band have been disbanded again after leaving of Gusts Leimanis in year 2008. Currently ex members are related with bands as Sia Radikal, Bruit Monkey, Z-Scars, Double Faced Eels, T? T? T?, and other.